Does a Granny Hump Affect Confidence? 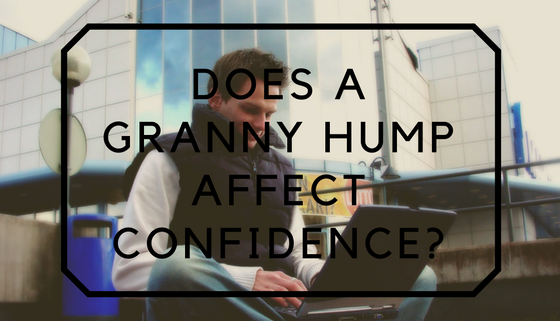 Granny hump and hunchback are terms to describe the abnormal hump just below the neck. This abnormal hump can cause decreased mood and confidence. For this article, we will call granny hump, Anterior Head Syndrome (AHS). AHS is usually the cause of a granny hump. You’ve seen AHS at nursing homes, or your parents/grandparents may have one. Imagine going into an interview with a granny hump. You might feel less confident right? It’s similar to having a large zit on your nose during a cocktail party. You know it’s there, but it’ll continue to exist as is. It could be a confidence killer! Like normal body temperature, weight, and blood pressure, you have normal spinal alignment. The presence of AHS confirms a spinal segment is a deviation from normal. Prolonged AHS and slumped shoulders cause spinal segments to shift from normal range causing dysfunction. AHS will be more prevalent with kids and teenagers. You’ll see early stages of AHS in junior high school. As a Structural Correction chiropractor, the increased prevalence is unacceptable. Luckily AHS can be prevented and improved. Similar to lifting weights, the more frequent the workouts, the more noticeable the muscles. If poor habits continue, a hump will be more noticeable. Do your kids take tests? I hope they do! Whether on paper or computer screen, prolonged hunching over will cause forward head movement. Add the next habit and you’re looking at trouble! Using a smartphone causes the neck to flex forward, shifting spinal segments from normal position. First, proper analysis is needed to diagnose AHS. You wouldn’t get radiation treatment without having an exam for cancer, right? http://www.corebirmingham.com/wp-content/uploads/2016/12/Cosmetic-Affect-of-A-Granny-Hump.png 397 560 Dr. Garrett Chow http://www.corebirmingham.com/wp-content/uploads/2016/11/core-chiropractic-logo-1-1030x103.png Dr. Garrett Chow2016-12-13 19:00:502018-03-01 17:08:16Does a Granny Hump Affect Confidence? for enjoyment, as this this website conations actually nice funny information too. to be shared around the web. Disgrace on the search engines for no longer positioning this put up higher! few minutes and actual effort to make a really good article… but what can I say… I hesitate a lot and never manage to get anything done. as with the structure for your weblog. Is this a paid subject or did you modify it yourself? for a related matter, your site came up, it appears good. Hi there, its good piece of writing on the topic of media print, we all understand media is a impressive source of information. has helped me out loads. I am hoping to contribute & aid different customers like its helped me. Yes! Finally someone writes about debt settlement. Confidence? | Core Chiropractic <Liked it! Good day! I simply wish to give you a big thumbs up for your great information you have got right here on this post. I simply had to say thanks again. I do not know the things that I would’ve accomplished without those smart ideas documented by you over such subject matter. It was a very daunting concern for me personally, nevertheless seeing your specialised form you managed the issue forced me to jump over fulfillment. I am just happier for your support and thus wish you know what a powerful job you’re putting in teaching the others through the use of a blog. I am sure you haven’t come across all of us. Havin so much written content do you ever run into any problems of copyright violation? My site has a lot of exclusive content I’ve written myself or outsourced but it appears a lot of it is popping it up all over the web without my authorization. Do you know any methods to help protect against content from being ripped off? I’d definitely appreciate it. Heya i am for the primary time here. I came across this board and I to find It really helpful & it helped me out much. I’m hoping to present one thing again and help others like you helped me. It’s really a cool and helpful piece of info. I am satisfied that you just shared this useful information with us. Please keep us informed like this. Thank you for sharing. this webpage includes remarkable and actually fine information designed for readers. 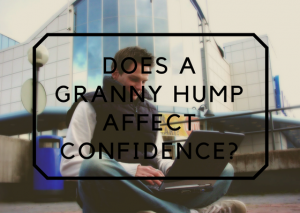 Thanks for finally talking about >Does a Granny Hump Affect Confidence? I simply want to say I’m new to weblog and truly savored you’re blog site. Very likely I’m going to bookmark your site . You definitely have fabulous writings. Many thanks for sharing your web site. I’ll appreciate if you continue this in future. Lots of people will probably be benefited out of your writing. Ahaa, its good dialogue regarding this piece of writing at this place at this weblog, I have read all that, so at this time me also commenting at this place. I just want to mention I’m new to blogging and actually liked this web page. Likely I’m planning to bookmark your blog . You certainly have amazing articles. Thanks a bunch for revealing your website page. I was suggested this website via my cousin. I am no longer certain whether this put up is written via him as nobody else realize such targeted approximately my problem. in touch more about your post on AOL? I require a specialist on this space to solve my problem. Hullo here, just started to be aware of your website through Bing and yahoo, and realized that it is genuinely interesting. I will like should you decide persist these. Howdy! Someone in my Myspace group shared this site with us so I came to look it over. I’m definitely loving the information. I’m bookmarking and will be tweeting this to my followers! Exceptional blog and terrific design and style. Unbelievably engaging data that you have stated, warm regards for adding. It happens to be convenient occasion to construct some goals for the foreseeable future. I have read this document and if I should, I want to suggest you handful of significant tips. Unbelievably stimulating resources that you have stated, many thanks for adding. That’s a real bed as well as one that we rested and also in our personal bedroom at home. This was an option effectively produced. Simply desire to say your article is as surprising. The clearness in your post is just great and i could assume you are an expert on this subject. Well with your permission let me to grab your feed to keep up to date with forthcoming post. Thanks a million and please carry on the gratifying work. I believe that this was actually a reasonably quick and easy put together I had the ability to place that on her brand new bed framework and also tear available the plastic. Hullo here, just turned conscious of your blog through Google, and realized that it is pretty informational. I will be grateful for should you retain these. Generally I do not learn post on blogs, however I would like to say that this write-up very pressured me to take a look at and do it! Your writing style has been surprised me. Thank you, quite nice article. Surprisingly absorbing elements that you have remarked, thank you so much for setting up. It really is proper opportunity to produce some schemes for the upcoming. I’ve go through this article and if I may, I want to recommend you couple intriguing recommendations. Good morning here, just became receptive to your post through Bing, and discovered that it is really good. I’ll take pleasure in if you decide to continue on these. We absolutely love your blog and find many of your post’s to be what precisely I’m looking for. Does one offer guest writers to write content for yourself? I wouldn’t mind creating an article or elaborating on a lot of the subjects you write with regards to here. Again, awesome blog! Highly informative information you’ll have remarked, say thanks a lot for publishing. I enjoy you because of all your labor on this blog. Gloria really likes conducting internet research and it’s easy to understand why. Many of us hear all relating to the lively form you present very useful tactics on your web site and therefore increase response from the others on this concern and our favorite simple princess is now starting to learn so much. Take pleasure in the rest of the new year. Your doing a fabulous job. Really nice style and wonderful content , practically nothing else we need : D.
Greetings there, just turned alert to your blog site through Yahoo and bing, and discovered that it’s seriously helpful. I’ll like if you decide to continue this approach. Thanks for sharing superb informations. Your web-site is so cool. I am impressed by the details that you have on this blog. It reveals how nicely you perceive this subject. Bookmarked this web page, will come back for more articles. You, my friend, ROCK! I found simply the info I already searched everywhere and simply could not come across. What a great web-site. Great goods from you, man. I have understand your stuff previous to and you’re just extremely wonderful. I really like what you’ve acquired here, really like what you are saying and the way in which you say it. You make it entertaining and you still take care of to keep it smart. I cant wait to read far more from you. This is actually a wonderful site. I precisely wished to say thanks again. I am not sure what I would have followed without these concepts shown by you concerning this question. Previously it was a very depressing crisis in my position, however , viewing a new specialized approach you treated it made me to weep over delight. I am grateful for the work as well as have high hopes you find out what an amazing job that you’re getting into training people today using a web site. I am sure you’ve never got to know any of us. Hiya, I am really glad I have found this information. Today bloggers publish only about gossips and web and this is really irritating. A good website with exciting content, this is what I need. Thank you for keeping this web site, I will be visiting it. Do you do newsletters? Can not find it. Excellent website. Lots of useful info here. I am sending it to some pals ans also sharing in delicious. And certainly, thanks on your effort! Hey there, just turned out to be aware of your post through The Big G, and have found that it is very informative. I will take pleasure in if you continue on this idea. It’s proper occasion to produce some preparations for the near future. I have browsed this article and if I can possibly, I want to suggest you some useful pointers. I just couldn’t leave your web site prior to suggesting that I really loved the usual information an individual provide for your visitors? Is going to be again steadily to inspect new posts. I do consider all of the ideas you have introduced to your post. They’re really convincing and can definitely work. Still, the posts are too short for starters. May just you please lengthen them a bit from subsequent time? Thank you for the post. Simply wanna comment on few general things, The website style and design is perfect, the content material is really good. “If a man does his best, what else is there” by George Smith Patton, Jr..
hi!,I like your writing so a lot! percentage we keep up a correspondence more approximately your post on AOL? I require an expert in this space to unravel my problem. Maybe that’s you! Taking a look ahead to peer you. It is in reality a great and useful piece of information. I¡¦m satisfied that you shared this useful info with us. Please keep us informed like this. Thank you for sharing. I needed to send you the tiny observation to be able to say thanks again regarding the extraordinary methods you’ve discussed in this case. This is certainly remarkably generous with people like you to make extensively what most people would’ve offered for sale as an e book to get some profit for their own end, notably given that you could have done it if you ever considered necessary. The techniques in addition worked as a great way to realize that most people have similar desire much like my own to understand a little more in terms of this problem. I know there are many more enjoyable sessions ahead for people who read carefully your website. It’s perfect time to make some plans for the future and it is time to be happy. I have read this post and if I could I wish to suggest you some interesting things or advice. Maybe you could write next articles referring to this article. I desire to read even more things about it! This web internet site is really a walk-through for all of the info you wanted about this and didn’t know who to ask. Glimpse here, and you’ll definitely discover it. Do you have a spam problem on this website; I also am a blogger, and I was wanting to know your situation; many of us have developed some nice procedures and we are looking to swap methods with other folks, please shoot me an email if interested. I do believe all of the concepts you’ve presented on your post. They are very convincing and can certainly work. Nonetheless, the posts are too brief for beginners. Could you please lengthen them a little from next time? Thanks for the post. Magnificent web site. A lot of useful info here. I¡¦m sending it to several friends ans also sharing in delicious. And naturally, thanks to your effort! Hello, Neat post. There’s a problem together with your web site in web explorer, could check this… IE nonetheless is the market chief and a big section of other folks will leave out your excellent writing because of this problem. I do agree with all the ideas you have introduced on your post. They are really convincing and will certainly work. Still, the posts are very quick for starters. May just you please extend them a little from next time? Thank you for the post. Howdy there, just started to be conscious of your blogging site through yahoo, and have found that it is truly informational. I will value if you decide to retain this informative article. This is proper opportunity to put together some schedules for the long-run. I’ve looked over this write-up and if I can possibly, I want to encourage you very few unique recommendations. Remarkably enjoyable highlights that you have remarked, many thanks for setting up. It¡¦s in point of fact a nice and useful piece of info. I am satisfied that you shared this useful info with us. Please keep us informed like this. Thank you for sharing. It is usually suitable time to put together some preparations for the long-term. I’ve browsed this write-up and if I may just, I desire to propose you couple helpful tips. Pretty absorbing resources that you have stated, thank you for posting. Yes! Finally someone writes about email marketing. Hello my loved one! I want to say that this article is awesome, great written and include almost all important infos. I’d like to look extra posts like this. I have been surfing on-line greater than 3 hours lately, yet I by no means discovered any interesting article like yours. It is lovely price enough for me. Personally, if all web owners and bloggers made good content as you probably did, the net can be a lot more helpful than ever before. Really wonderful info can be found on website . “Education is what most receive, many pass on, and few possess.” by Karl Kraus. Thank you for sharing excellent informations. Your website is very cool. I’m impressed by the details that you have on this website. It reveals how nicely you perceive this subject. Bookmarked this web page, will come back for more articles. You, my friend, ROCK! I found just the information I already searched everywhere and just could not come across. What a perfect site. Heya here, just became conscious of your website through Search engines like google, and have found that it is pretty helpful. I will be grateful for in the event you retain this idea. Thank you for any other magnificent post. The place else could anyone get that type of info in such a perfect manner of writing? I’ve a presentation next week, and I am on the look for such information. I do trust all of the ideas you’ve presented in your post. They’re very convincing and will certainly work. Still, the posts are too brief for novices. Could you please lengthen them a little from subsequent time? Thanks for the post. Normally I don’t read post on blogs, however I wish to say that this write-up very compelled me to take a look at and do it! Your writing taste has been amazed me. Thank you, very great post. I am really loving the theme/design of your weblog. Do you ever run into any browser compatibility issues? A few of my blog readers have complained about my website not operating correctly in Explorer but looks great in Opera. Do you have any advice to help fix this issue? Whats Happening i’m new to this, I stumbled upon this I have discovered It absolutely useful and it has aided me out loads. I am hoping to give a contribution & assist different users like its helped me. Great job. I am now not positive the place you’re getting your info, but great topic. I needs to spend a while studying more or figuring out more. Thank you for magnificent information I used to be on the lookout for this info for my mission. All right My wife and i regards cherished checking this. This post gotten on your part can be quite good pertaining to balanced organization. I wish to express thanks to this writer for bailing me out of this type of issue. Just after looking out through the search engines and finding ideas which were not productive, I believed my life was over. Being alive without the presence of solutions to the difficulties you’ve resolved as a result of your posting is a critical case, and ones that would have badly damaged my career if I hadn’t come across the website. Your mastery and kindness in handling the whole lot was tremendous. I don’t know what I would have done if I had not encountered such a solution like this. I can also at this time relish my future. Thank you so much for the reliable and amazing help. I won’t think twice to suggest the sites to any individual who wants and needs direction about this issue. you’re truly a excellent webmaster. The site loading velocity is amazing. It seems that you are doing any distinctive trick. Moreover, The contents are masterpiece. you’ve performed a great task in this matter! It is actually a great and useful piece of info. I am glad that you just shared this useful information with us. Please keep us informed like this. Thanks for sharing. I wonder how so much effort you place to create the sort of wonderful informative website. It’s truly a nice and helpful piece of information. I am satisfied that you just shared this useful info with us. Please stay us informed like this. Thanks for sharing. Greetings from California! I’m bored to death at work so I decided to check out your website on my iphone during lunch break. I really like the information you present here and can’t wait to take a look when I get home. I’m surprised at how fast your blog loaded on my phone .. I’m not even using WIFI, just 3G .. Anyhow, fantastic site! With havin so much written content do you ever run into any problems of plagorism or copyright infringement? My website has a lot of unique content I’ve either authored myself or outsourced but it appears a lot of it is popping it up all over the web without my authorization. Do you know any solutions to help prevent content from being stolen? I’d definitely appreciate it. Fantastic post however I was wanting to know if you could write a litte more on this topic? I’d be very thankful if you could elaborate a little bit more. Kudos! My programmer is trying to persuade me to move to .net from PHP. I have always disliked the idea because of the costs. But he’s tryiong none the less. I’ve been using Movable-type on a number of websites for about a year and am anxious about switching to another platform. I have heard great things about blogengine.net. Is there a way I can import all my wordpress posts into it? Any kind of help would be really appreciated! First off I want to say wonderful blog! I had a quick question which I’d like to ask if you do not mind. I was curious to find out how you center yourself and clear your mind prior to writing. I have had a difficult time clearing my thoughts in getting my thoughts out. I truly do take pleasure in writing but it just seems like the first 10 to 15 minutes are lost just trying to figure out how to begin. Any suggestions or tips? Many thanks! Hola! I’ve been reading your web site for a long time now and finally got the courage to go ahead and give you a shout out from Dallas Tx! Just wanted to tell you keep up the good work! Hi I am so grateful I found your web site, I really found you by accident, while I was searching on Aol for something else, Anyhow I am here now and would just like to say many thanks for a tremendous post and a all round enjoyable blog (I also love the theme/design), I don’t have time to browse it all at the moment but I have book-marked it and also included your RSS feeds, so when I have time I will be back to read more, Please do keep up the excellent work. I am curious to find out what blog system you happen to be working with? I’m having some minor security issues with my latest site and I would like to find something more safeguarded. Do you have any solutions? It’s a pity you don’t have a donate button! I’d most certainly donate to this brilliant blog! I suppose for now i’ll settle for book-marking and adding your RSS feed to my Google account. I look forward to brand new updates and will share this site with my Facebook group. Talk soon! Hi there! I know this is kinda off topic however I’d figured I’d ask. Would you be interested in trading links or maybe guest writing a blog post or vice-versa? My blog covers a lot of the same topics as yours and I think we could greatly benefit from each other. If you’re interested feel free to send me an email. I look forward to hearing from you! Awesome blog by the way! Does your blog have a contact page? I’m having a tough time locating it but, I’d like to send you an e-mail. I’ve got some suggestions for your blog you might be interested in hearing. Either way, great site and I look forward to seeing it grow over time. Hi, i read your blog occasionally and i own a similar one and i was just curious if you get a lot of spam comments? If so how do you stop it, any plugin or anything you can recommend? I get so much lately it’s driving me mad so any help is very much appreciated. Howdy great website! Does running a blog like this take a lot of work? I’ve absolutely no knowledge of coding but I had been hoping to start my own blog soon. Anyway, if you have any suggestions or techniques for new blog owners please share. I understand this is off topic nevertheless I simply had to ask. Cheers! Thanks on your marvelous posting! I genuinely enjoyed reading it, you can be a great author.I will ensure that I bookmark your blog and may come back in the future. I want to encourage you to continue your great work, have a nice day! Woah! I’m really enjoying the template/theme of this site. It’s simple, yet effective. A lot of times it’s challenging to get that “perfect balance” between superb usability and appearance. I must say that you’ve done a excellent job with this. Additionally, the blog loads extremely quick for me on Internet explorer. Excellent Blog! Woah! I’m really loving the template/theme of this blog. It’s simple, yet effective. A lot of times it’s difficult to get that “perfect balance” between superb usability and appearance. I must say you have done a great job with this. In addition, the blog loads super fast for me on Opera. Superb Blog! Hello! This is my first comment here so I just wanted to give a quick shout out and say I truly enjoy reading your articles. Can you recommend any other blogs/websites/forums that deal with the same topics? Thanks for your time! Woah! I’m really enjoying the template/theme of this website. It’s simple, yet effective. A lot of times it’s very difficult to get that “perfect balance” between superb usability and visual appearance. I must say that you’ve done a awesome job with this. Also, the blog loads extremely quick for me on Safari. Exceptional Blog! Hello superb blog! Does running a blog like this take a large amount of work? I have very little expertise in computer programming but I was hoping to start my own blog soon. Anyhow, should you have any ideas or tips for new blog owners please share. I know this is off topic however I just had to ask. Kudos! Do you have a spam problem on this website; I also am a blogger, and I was wanting to know your situation; many of us have developed some nice procedures and we are looking to swap techniques with other folks, be sure to shoot me an email if interested. Fantastic site you have here but I was wondering if you knew of any community forums that cover the same topics talked about here? I’d really like to be a part of community where I can get advice from other experienced individuals that share the same interest. If you have any suggestions, please let me know. Thanks a lot! Hey there! I know this is kinda off topic but I was wondering which blog platform are you using for this website? I’m getting sick and tired of WordPress because I’ve had problems with hackers and I’m looking at options for another platform. I would be great if you could point me in the direction of a good platform. Hey there! I know this is sort of off-topic but I had to ask. Does running a well-established blog like yours require a lot of work? I am brand new to running a blog but I do write in my diary on a daily basis. I’d like to start a blog so I can easily share my personal experience and thoughts online. Please let me know if you have any kind of ideas or tips for brand new aspiring bloggers. Thankyou! We absolutely love your blog and find almost all of your post’s to be exactly what I’m looking for. Do you offer guest writers to write content for you? I wouldn’t mind writing a post or elaborating on a number of the subjects you write in relation to here. Again, awesome blog! Hi! I know this is kinda off topic but I’d figured I’d ask. Would you be interested in exchanging links or maybe guest writing a blog post or vice-versa? My website goes over a lot of the same topics as yours and I feel we could greatly benefit from each other. If you happen to be interested feel free to shoot me an e-mail. I look forward to hearing from you! Wonderful blog by the way! Hello, Neat post. There’s a problem together with your site in internet explorer, would test this… IE still is the marketplace leader and a good element of other folks will miss your excellent writing because of this problem. I must voice my affection for your kindness giving support to folks who require guidance on this particular content. Your special commitment to passing the message all-around ended up being especially advantageous and has in every case helped individuals just like me to attain their targets. Your helpful useful information signifies so much a person like me and extremely more to my mates. Thanks a lot; from all of us. Its wonderful as your other blog posts : D, appreciate it for posting . “You can’t have everything. Where would you put it” by Steven Wright. Hmm it seems like your blog ate my first comment (it was extremely long) so I guess I’ll just sum it up what I had written and say, I’m thoroughly enjoying your blog. I as well am an aspiring blog blogger but I’m still new to the whole thing. Do you have any helpful hints for inexperienced blog writers? I’d definitely appreciate it. Greetings! I know this is kinda off topic however I’d figured I’d ask. Would you be interested in trading links or maybe guest authoring a blog post or vice-versa? My site addresses a lot of the same subjects as yours and I think we could greatly benefit from each other. If you’re interested feel free to shoot me an e-mail. I look forward to hearing from you! Wonderful blog by the way! I am really enjoying the theme/design of your blog. Do you ever run into any internet browser compatibility issues? A couple of my blog audience have complained about my website not working correctly in Explorer but looks great in Firefox. Do you have any recommendations to help fix this issue? Hi would you mind letting me know which hosting company you’re utilizing? I’ve loaded your blog in 3 completely different internet browsers and I must say this blog loads a lot faster then most. Can you suggest a good web hosting provider at a fair price? Thank you, I appreciate it! It’s a pity you don’t have a donate button! I’d most certainly donate to this brilliant blog! I guess for now i’ll settle for bookmarking and adding your RSS feed to my Google account. I look forward to brand new updates and will share this site with my Facebook group. Chat soon! Thanks for your personal marvelous posting! I quite enjoyed reading it, you will be a great author.I will remember to bookmark your blog and will often come back in the foreseeable future. I want to encourage you continue your great writing, have a nice morning! Hi there! I know this is kinda off topic nevertheless I’d figured I’d ask. Would you be interested in exchanging links or maybe guest authoring a blog post or vice-versa? My blog discusses a lot of the same topics as yours and I believe we could greatly benefit from each other. If you might be interested feel free to send me an e-mail. I look forward to hearing from you! Great blog by the way! Do you have a spam problem on this site; I also am a blogger, and I was wanting to know your situation; many of us have developed some nice practices and we are looking to trade techniques with others, please shoot me an e-mail if interested. First off I would like to say superb blog! I had a quick question which I’d like to ask if you do not mind. I was interested to know how you center yourself and clear your head before writing. I’ve had a hard time clearing my mind in getting my thoughts out there. I truly do enjoy writing however it just seems like the first 10 to 15 minutes are generally wasted simply just trying to figure out how to begin. Any ideas or hints? Cheers! Have you ever thought about publishing an ebook or guest authoring on other sites? I have a blog based on the same ideas you discuss and would love to have you share some stories/information. I know my audience would enjoy your work. If you’re even remotely interested, feel free to send me an email. Great site you have here but I was curious if you knew of any discussion boards that cover the same topics talked about in this article? I’d really like to be a part of online community where I can get feedback from other experienced individuals that share the same interest. If you have any recommendations, please let me know. Thanks a lot! My partner and I absolutely love your blog and find most of your post’s to be precisely what I’m looking for. Would you offer guest writers to write content in your case? I wouldn’t mind composing a post or elaborating on some of the subjects you write in relation to here. Again, awesome weblog! Woah! I’m really enjoying the template/theme of this website. It’s simple, yet effective. A lot of times it’s challenging to get that “perfect balance” between superb usability and appearance. I must say you’ve done a very good job with this. Also, the blog loads extremely fast for me on Safari. Exceptional Blog! I’m really loving the theme/design of your web site. Do you ever run into any browser compatibility issues? A few of my blog visitors have complained about my site not operating correctly in Explorer but looks great in Safari. Do you have any ideas to help fix this issue? Admiring the hard work you put into your site and in depth information you provide. It’s awesome to come across a blog every once in a while that isn’t the same outdated rehashed information. Great read! I’ve bookmarked your site and I’m adding your RSS feeds to my Google account. Hey there I am so delighted I found your blog, I really found you by error, while I was looking on Bing for something else, Nonetheless I am here now and would just like to say cheers for a incredible post and a all round enjoyable blog (I also love the theme/design), I don’t have time to read it all at the moment but I have saved it and also added in your RSS feeds, so when I have time I will be back to read much more, Please do keep up the superb work. Hi there! Someone in my Myspace group shared this site with us so I came to look it over. I’m definitely enjoying the information. I’m bookmarking and will be tweeting this to my followers! Excellent blog and fantastic style and design. Woah! I’m really enjoying the template/theme of this site. It’s simple, yet effective. A lot of times it’s hard to get that “perfect balance” between superb usability and visual appearance. I must say you have done a awesome job with this. In addition, the blog loads extremely fast for me on Safari. Outstanding Blog! Great blog! Do you have any suggestions for aspiring writers? I’m planning to start my own site soon but I’m a little lost on everything. Would you propose starting with a free platform like WordPress or go for a paid option? There are so many options out there that I’m completely confused .. Any tips? Thanks a lot! smartly as with the structure for your blog. Is that this a paid subject matter or did you modify it your self? Superb blog! Do you have any tips for aspiring writers? I’m planning to start my own website soon but I’m a little lost on everything. Would you suggest starting with a free platform like WordPress or go for a paid option? There are so many choices out there that I’m totally confused .. Any recommendations? Bless you! It¡¦s really a great and useful piece of information. I am happy that you simply shared this helpful info with us. Please keep us informed like this. Thank you for sharing. Absolutely pent subject matter, regards for selective information. “You can do very little with faith, but you can do nothing without it.” by Samuel Butler. wxBNCX This article is very interesting and gripping. I like your points of view and how well they are expressed. Your content is well-written. Thank you. My developer is trying to convince me to move to .net from PHP. I have always disliked the idea because of the costs. But he’s tryiong none the less. I’ve been using WordPress on a number of websites for about a year and am nervous about switching to another platform. I have heard good things about blogengine.net. Is there a way I can import all my wordpress content into it? Any kind of help would be really appreciated! My partner and I absolutely love your blog and find a lot of your post’s to be precisely what I’m looking for. Does one offer guest writers to write content available for you? I wouldn’t mind creating a post or elaborating on many of the subjects you write related to here. Again, awesome web log! Woah! I’m really enjoying the template/theme of this blog. It’s simple, yet effective. A lot of times it’s very hard to get that “perfect balance” between superb usability and appearance. I must say you’ve done a fantastic job with this. Also, the blog loads super fast for me on Chrome. Exceptional Blog! x5YTp8 Really enjoyed this blog article.Really thank you! Fantastic. What i do not realize is actually how you’re no longer actually much more smartly-liked than you might be right now. You are so intelligent. You understand therefore significantly relating to this subject, produced me personally believe it from a lot of numerous angles. Its like men and women aren’t fascinated until it¡¦s one thing to do with Lady gaga! Your personal stuffs great. All the time care for it up! hey there and thanks in your info – I have definitely picked up anything new from right here. I did on the other hand expertise a few technical issues using this website, since I experienced to reload the website many instances previous to I may just get it to load properly. I had been puzzling over in case your hosting is OK? Not that I am complaining, however slow loading cases times will very frequently have an effect on your placement in google and could damage your high-quality score if ads with Adwords. Well I am including this RSS to my email and can look out for much extra of your respective interesting content. Make sure you replace this once more very soon..
It’s remarkable to pay a quick visit this website and reading the views of all friends regarding this piece of writing, while I am also eager of getting experience. I got what you mean , regards for putting up.Woh I am thankful to find this website through google. “Being intelligent is not a felony, but most societies evaluate it as at least a misdemeanor.” by Lazarus Long. Magnificent goods from you, man. I have understand your stuff previous to and you are just too excellent. I really like what you have acquired here, really like what you’re saying and the way in which you say it. You make it enjoyable and you still care for to keep it smart. I cant wait to read much more from you. This is really a great site. I will immediately grab your rss feed as I can’t in finding your email subscription hyperlink or newsletter service. Do you have any? Please let me understand in order that I may just subscribe. Thanks. I wish to show my thanks to this writer for rescuing me from such a incident. As a result of searching through the world-wide-web and seeing ways which were not powerful, I believed my entire life was done. Being alive without the presence of strategies to the difficulties you’ve sorted out by way of your main guide is a crucial case, as well as those that might have in a negative way damaged my entire career if I hadn’t noticed your web blog. Your own personal expertise and kindness in taking care of all the pieces was tremendous. I don’t know what I would’ve done if I hadn’t come upon such a subject like this. It’s possible to now look forward to my future. Thanks for your time very much for your high quality and amazing guide. I won’t hesitate to propose your web site to any person who would need counselling about this matter. You can definitely see your skills within the paintings you write. The sector hopes for more passionate writers like you who are not afraid to say how they believe. Always follow your heart. “Everyone has his day and some days last longer than others.” by Sir Winston Leonard Spenser Churchill. I enjoy you because of your whole work on this website. My daughter takes pleasure in going through internet research and it’s obvious why. A number of us learn all concerning the powerful form you make simple guidance on the website and therefore strongly encourage participation from visitors on that theme while our favorite daughter is without question discovering a great deal. Enjoy the rest of the new year. You’re carrying out a really good job. Nice post. I was checking continuously this blog and I am impressed! Very helpful information specially the last part 🙂 I care for such info much. I was seeking this certain information for a very long time. Thank you and best of luck. My husband and i got really joyful Peter could finish off his homework with the ideas he had through your web pages. It’s not at all simplistic just to find yourself giving for free guides which usually other people might have been making money from. We realize we now have the blog owner to thank for this. The main illustrations you made, the easy blog navigation, the relationships your site aid to engender – it is many sensational, and it is making our son in addition to the family understand that matter is thrilling, which is particularly pressing. Many thanks for the whole lot! Real nice layout and superb content material , very little else we require : D.
F*ckin’ remarkable things here. I’m very happy to look your article. Thank you so much and i am looking forward to contact you. Will you please drop me a e-mail? Somebody necessarily assist to make severely posts I might state. This is the very first time I frequented your web page and so far? I surprised with the analysis you made to create this actual submit amazing. Great task! excellent points altogether, you just received a new reader. What would you recommend about your put up that you just made some days ago? Any sure? Good – I should certainly pronounce, impressed with your web site. I had no trouble navigating through all the tabs and related information ended up being truly simple to do to access. I recently found what I hoped for before you know it at all. Quite unusual. Is likely to appreciate it for those who add forums or anything, site theme . a tones way for your client to communicate. Nice task. qQxyoA Utterly composed subject material, appreciate it for entropy. No human thing is of serious importance. by Plato. Hey very nice website!! Man .. Beautiful .. Superb .. I will bookmark your blog and take the feeds also…I am satisfied to seek out so many useful info here in the publish, we want work out extra strategies on this regard, thanks for sharing. I wish to show my thanks to this writer for bailing me out of this problem. Right after surfing through the world-wide-web and meeting solutions which are not pleasant, I was thinking my life was gone. Living without the strategies to the issues you have solved by way of your main short post is a critical case, and those that would have adversely affected my career if I had not noticed your web site. Your primary competence and kindness in handling all the stuff was invaluable. I am not sure what I would have done if I had not come across such a thing like this. It’s possible to at this point look forward to my future. Thanks a lot so much for the expert and sensible guide. I won’t think twice to endorse your web sites to any person who should get direction about this matter. naturally like your website but you need to check the spelling on quite a few of your posts. Several of them are rife with spelling problems and I in finding it very troublesome to inform the truth on the other hand I¡¦ll certainly come again again. Have you ever thought about creating an e-book or guest authoring on other blogs? I have a blog centered on the same topics you discuss and would love to have you share some stories/information. I know my visitors would appreciate your work. If you are even remotely interested, feel free to shoot me an email. Awesome blog! Do you have any hints for aspiring writers? I’m hoping to start my own website soon but I’m a little lost on everything. Would you suggest starting with a free platform like WordPress or go for a paid option? There are so many options out there that I’m totally overwhelmed .. Any suggestions? Cheers! Greetings! I’ve been following your blog for some time now and finally got the courage to go ahead and give you a shout out from Porter Tx! Just wanted to tell you keep up the fantastic job! I’m really enjoying the theme/design of your weblog. Do you ever run into any browser compatibility problems? A couple of my blog readers have complained about my blog not operating correctly in Explorer but looks great in Opera. Do you have any recommendations to help fix this problem? Hi there, i read your blog from time to time and i own a similar one and i was just curious if you get a lot of spam responses? If so how do you stop it, any plugin or anything you can recommend? I get so much lately it’s driving me mad so any assistance is very much appreciated. I am curious to find out what blog system you have been using? I’m having some small security issues with my latest site and I’d like to find something more safe. Do you have any solutions? Hi would you mind letting me know which hosting company you’re working with? I’ve loaded your blog in 3 completely different web browsers and I must say this blog loads a lot faster then most. Can you recommend a good internet hosting provider at a reasonable price? Thanks a lot, I appreciate it! My coder is trying to convince me to move to .net from PHP. I have always disliked the idea because of the expenses. But he’s tryiong none the less. I’ve been using Movable-type on a variety of websites for about a year and am worried about switching to another platform. I have heard very good things about blogengine.net. Is there a way I can import all my wordpress content into it? Any help would be greatly appreciated! I absolutely love your blog and find most of your post’s to be what precisely I’m looking for. Does one offer guest writers to write content for yourself? I wouldn’t mind writing a post or elaborating on many of the subjects you write about here. Again, awesome weblog! My coder is trying to convince me to move to .net from PHP. I have always disliked the idea because of the expenses. But he’s tryiong none the less. I’ve been using WordPress on a variety of websites for about a year and am nervous about switching to another platform. I have heard very good things about blogengine.net. Is there a way I can transfer all my wordpress posts into it? Any help would be greatly appreciated! My partner and I stumbled over here by a different web address and thought I might as well check things out. I like what I see so now i am following you. Look forward to going over your web page yet again.